I've really been in love with Chinese food lately. Chinese food has always been a top contender in my all time favorite cuisines. I work in Chinatown so Im surrounded by a ton of Chinese restaurants and markets, so naturally its what Ive been eating and craving lately, even for breakfast. 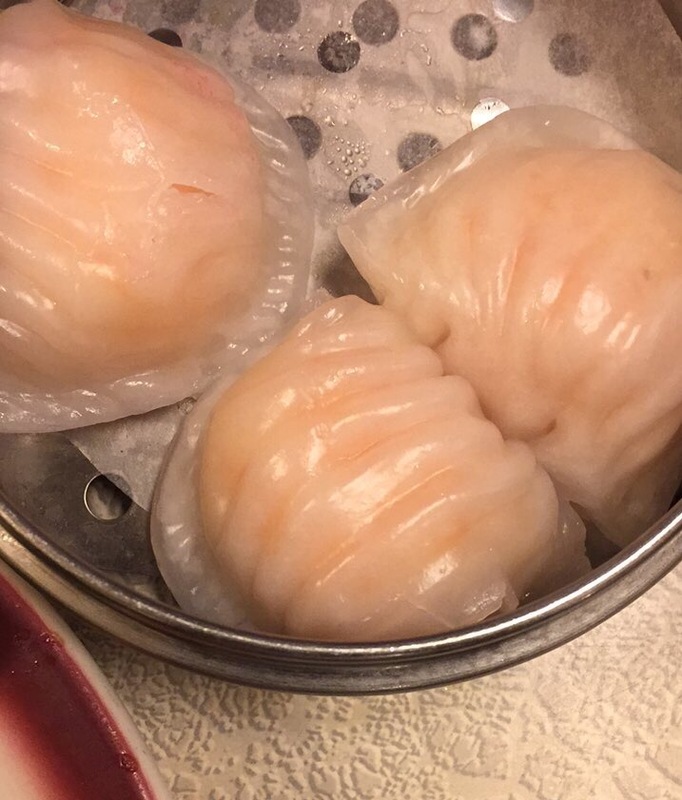 I had a bright and sunny weekend off recently and my family and I headed to Nom Wah Tea Parlor, a highly popular dim sum restaurant in Chinatown. The original Nom Wah Tea Parlor started as a bakery and tea house in 1920's in "Bloody Angle" on Doyers Street here in NYC. (Bloody Angle was heavily gang associated back in the 1920 due to the sharp curve of the alley) Dim Sum was second to the bakery, but after some time, the family owned business became known for its dim sum. 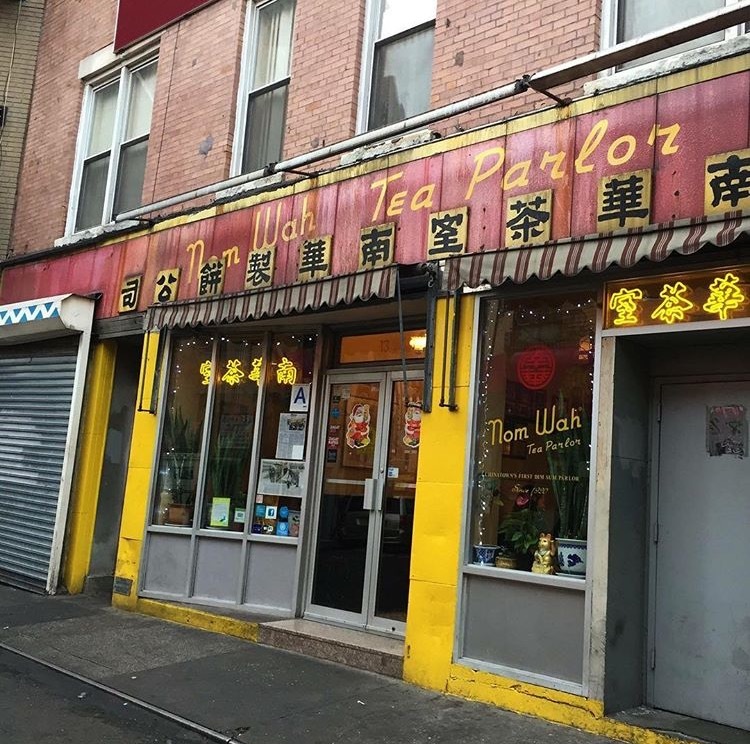 Now with 3 locations, Nom Wah Tea Parlor is the place to be in NYC for the best dim sum and Chinese American and Cantonese favorites. With no reservations taken on the weekends (only during the week) at the Doyers Street location, we put our name on the wait list a before we knew it we were sitting at a both looking over the menu. Nom Wah still has its very old school vintage vibe with rickety old booths and tables, checkered floor tiles and classic dim sum vessels. I loved this about the place even as the new owners are younger and hipper, the original essence and history is still very much alive. I will admit that I broke my rule with Nom Wah Tea Parlor. I never take anyones opinion when it comes to dining out and trying dishes in a restaurant. I always go with what I want to order, but when looking up Nom Wah, all the reviews consistently pointed to the shrimp and snow pea leaf dumplings and the OG egg roll. The shrimp and snow pea leaf dumplings are juicy and the pea leaves really add extra flavor along with the thick chewy dumpling wrapper. 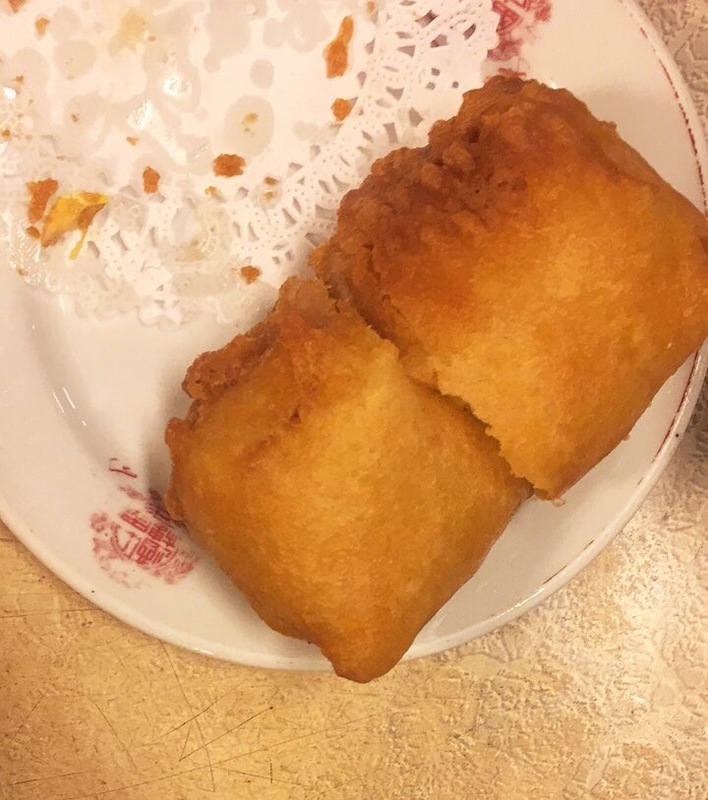 The OG egg roll is different and better than your average. Its a creamy chicken and vegetable filling wrapped in a thin egg crepe then coated and deep fried. You need both of these dishes on your table. I jumped out on a limb and had chicken feet for the first time and I must say I loved them as they are chewy and fatty and gelatinous and Nom Wah covers them in this great sweet and sticky sauce. I cant wait to have these again. The dishes kept hitting our table and we kept devouring them. Its so easy to over order at Nom Wah (which is totally not a bad thing) the food is so good and fresh and as the dishes kept flying out the kitchen its hard not to wonder what everyone else is eating. On any given day I recommend going to Nom Wah Tea Parlor. Its so good that its even worth waiting on line for and thats very rare with so many amazing restaurants here in NYC. I really don't think you are going to get better dim sum than at Nom Wah Tea Parlor and honestly, thats a great thing.